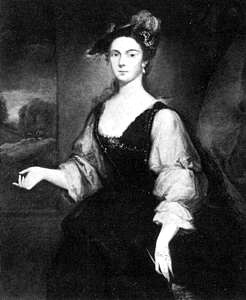 Lady Mary Chudleigh (1656 - 1710) was a woman ahead of her time, churning out feminist rhetoric even as she lived her life within the rigid confines of seventeenth century England. Well educated despite the lack of formal training provided for women during that time, Mary was a wife and mother with a wide circle of intelligent, supportive female friends. Not much else is known about her; there is speculation that her marriage was not a happy one, but Mary’s husband obviously tolerated his wife's writing and, apparently, preserved it. As a result, her poems and essays remain popular three centuries after her death. Goodness me! Makes me very curious to find out more. I wonder if her hubby ever read that. It actually read very well. A lovely poem. How beautiful. Can't believe how old it is. Will look for more of hers.